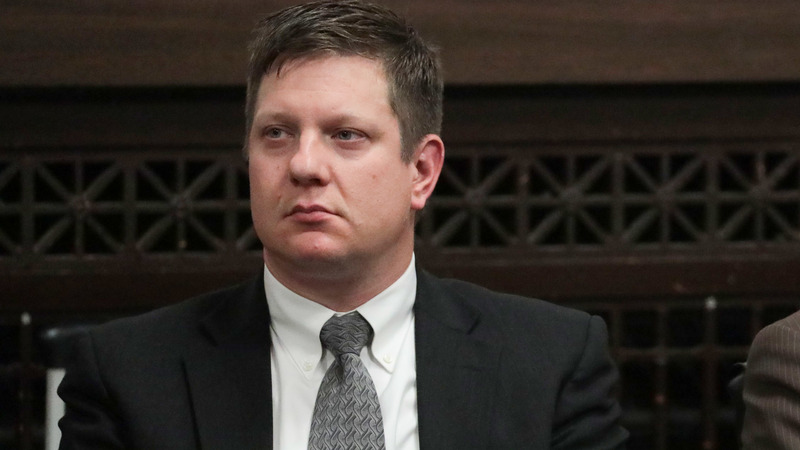 Former Chicago Police Officer Jason Van Dyke is expected to be sentenced Friday for the 2014 murder of teenager Laquan McDonald, and the judge has a wide range of punishment options. The shooting was captured on an infamous police dashcam video that showed McDonald, who was carrying a knife with a three-inch blade, walking away from Van Dyke just before the officer shot him 16 times. The release of the video sparked protests and political upheaval in the city. In October, a jury convicted Van Dyke of second-degree murder and 16 counts of aggravated battery. The convictions provide different paths for sentencing under Illinois law, each resulting in vastly different outcomes for Van Dyke. The former officer's lawyers have asked for probation, the minimum punishment in Illinois for second-degree murder. Prosecutors, meanwhile, have laid out several options that mostly land the former officer behind bars for decades on the aggravated battery convictions.Veteran Cook County Judge Vincent Gaughan — who has handled high-profile cases like the trial of R. Kelly — is tasked with deciding the punishment. His announcement is expected at the end of a 9 a.m. CT court hearing where attorneys could present witnesses and make arguments. After nearly three years of pretrial hearings, lawyers spent about three weeks presenting their cases last fall. It took the jury of eight women and four men about eight hours to reach their verdict: Guilty on all 16 counts of aggravated battery, not guilty of official misconduct, and guilty of second-degree murder. Van Dyke was the first Chicago police officer in decades to be charged with murder for an on-duty shooting. On Monday, prosecutors filed a document that laid out the case for a wide range of punishments. Special Prosecutor Joseph McMahon noted that aggravated battery carries a minimum sentence of six to 30 years in prison for each count. If Van Dyke received the minimum sentence, that would be 96 years (six years times 16 counts). State law requires defendants to serve 85 percent of a term for aggravated battery with a firearm. But, in the same document, prosecutors paved the way for Van Dyke to serve as few as 15 years behind bars by combining some of the counts into single acts. It's unclear how heavy a sentence prosecutors will push for on Friday. Van Dyke's attorneys will focus on the second-degree murder conviction and argue that probation is appropriate in this case because the former officer has no criminal history. They've also filed dozens of letters of support from Van Dyke's family and friends.